Dive into the rapidly evolving art world of the 1920s with B.A. Shapiro’s latest book. The Paris art scene is vividly drawn with the likes of Henri Matisse and Gertrude Stein. Better yet, complex ideas about influences and confluences within the remarkable Post-Impressionist art world are folded seamlessly into the dialogue. 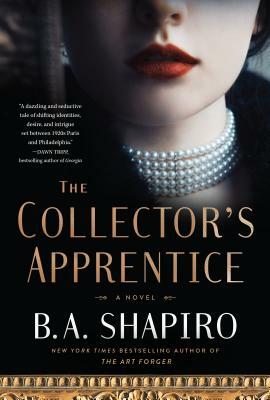 You’ll be swept into a quiet tale of intrigue starring a rather traumatized young lady from Europe, a savvy con artist from America, and a wealthy American amassing a huge collection of contemporary European art. The story will take you for a couple of unexpected spins before letting you go well satisfied.